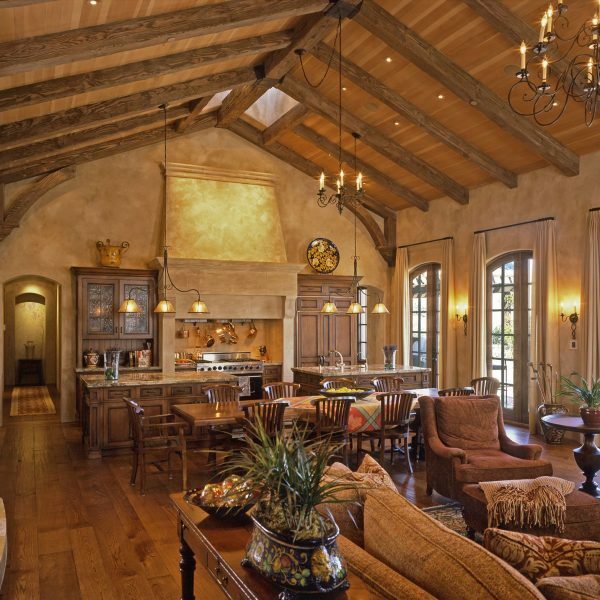 Extraordinary impressions of the Old World were created in this Tuscan-style home with notes of modern convenience. 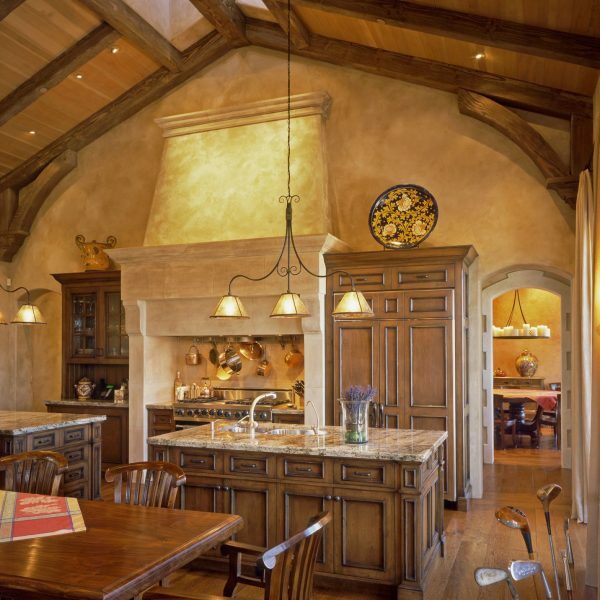 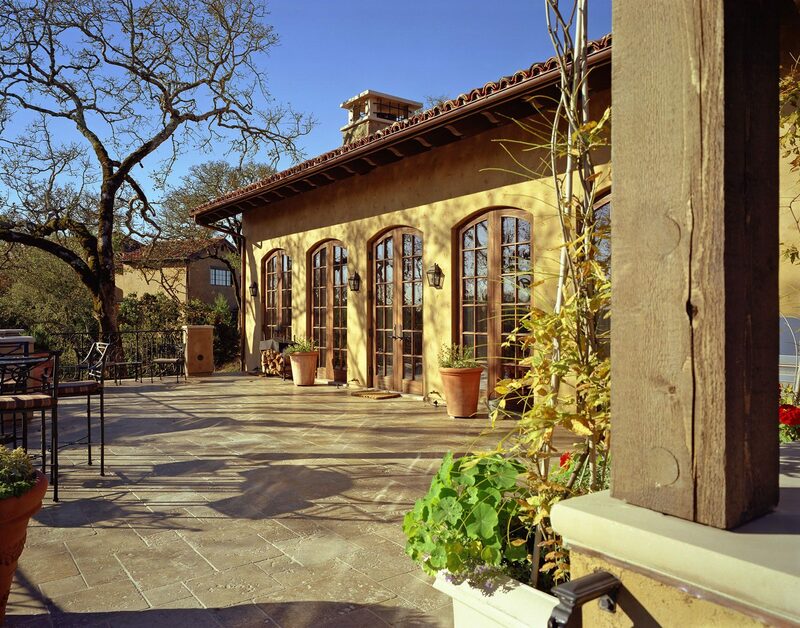 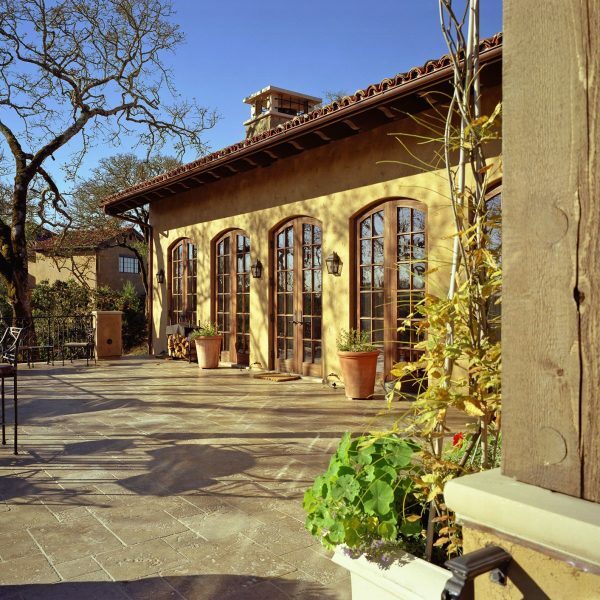 Stucco exterior walls and wrought iron fixtures give a handmade, rustic look that exemplifies the architectural style. 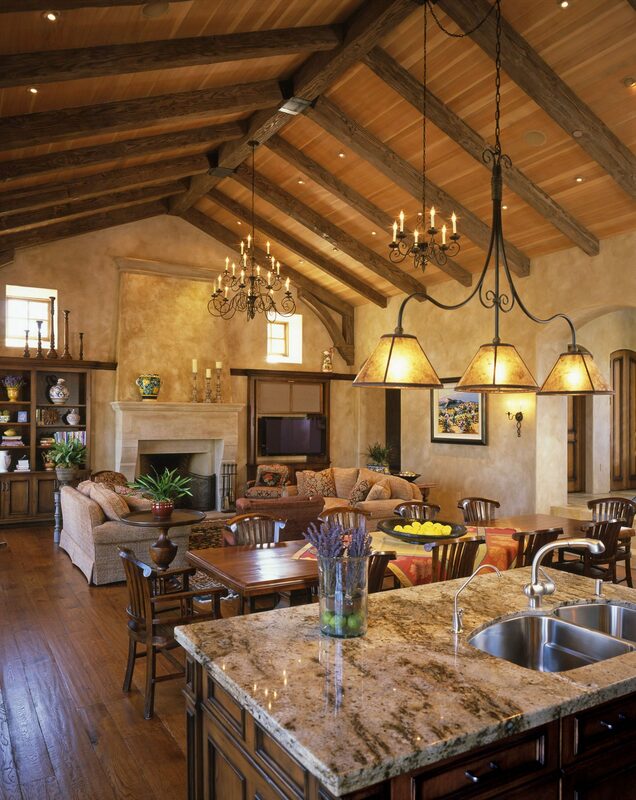 The plaster interior walls, artfully crafted, embrace the home’s romance with the past. 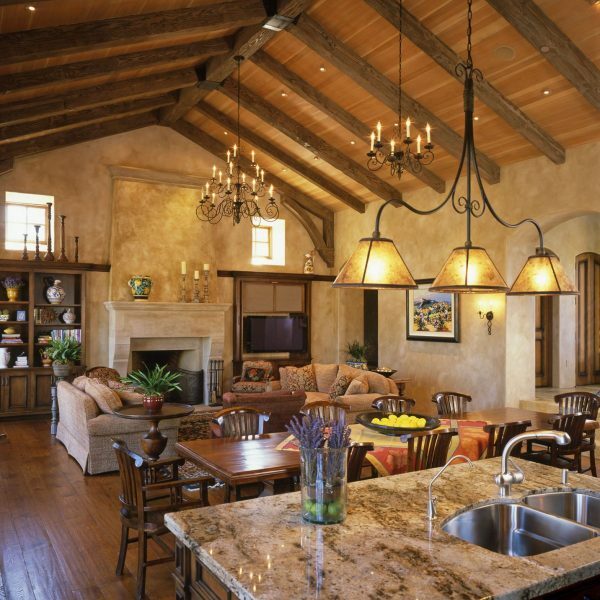 Their surface is a blend of colors created on site with a wax patina applied to some of the walls. 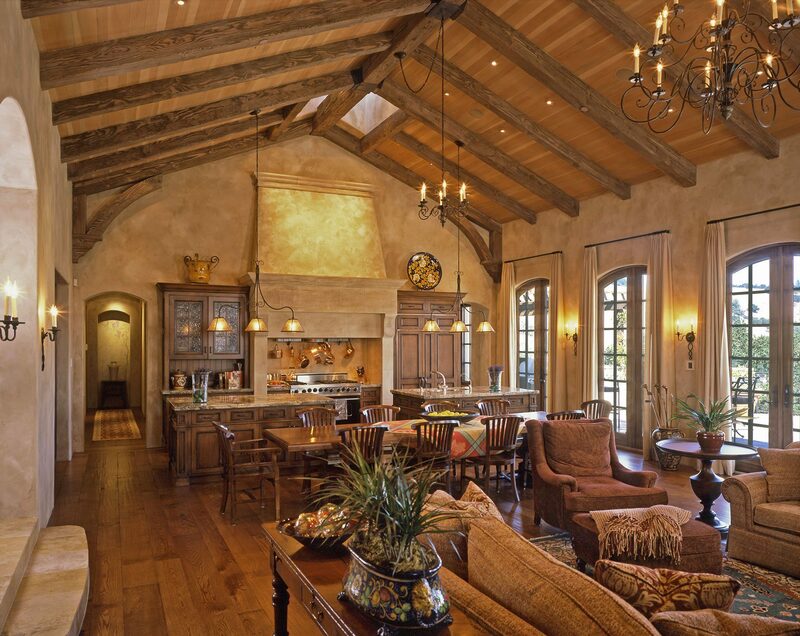 The remarkable feeling of elegant antiquity is aided by the home’s floors, which were created from reclaimed wood. 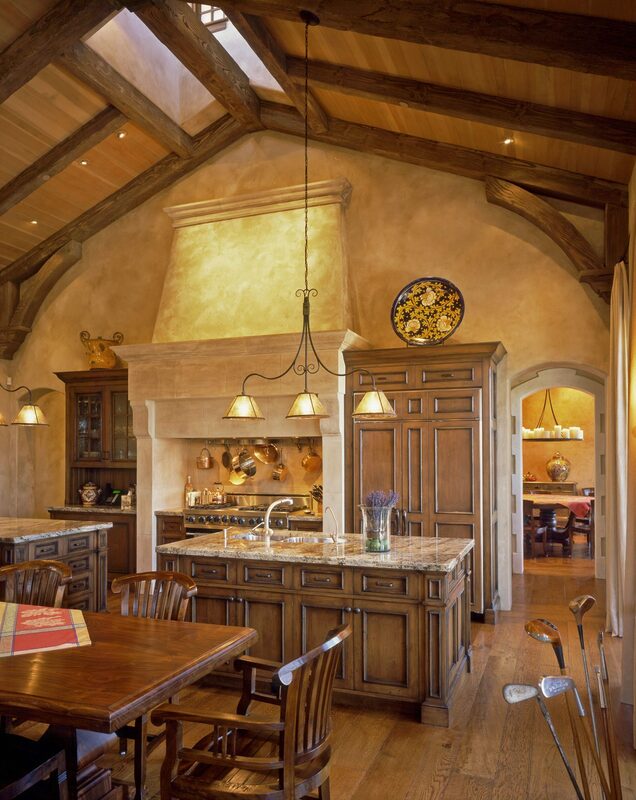 Our carpenters gave the large beams in the great room and kitchen a rustic radiance through modern distressing techniques.